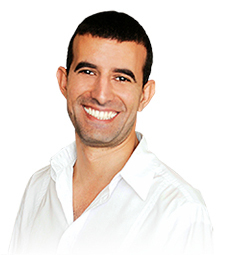 Hi everyone, today we’re talking to Steven Essa, CEO of the X10 Effect and who’s also known as The Webinar Guy. Today’s episode is really special, especially if you’ve ever thought about using webinars as a means to boost your business. Steven provides some of the most hands-on, practical, action-packed advice we’ve had in a Growth Everywhere interview. It’s full of details to help you with pricing, product development, and making more money than you would have considered possible with a webinar. Steven’s got an interesting history. He started out as a kid who failed out of high school and turned to creating death metal music with his friends. The band actually became pretty popular in Australia, but things went south in 2002 when they decided to go to the US to start touring internationally. They arrived just when the music business was collapsing, and had terrible luck. Sitting in his apartment, he decided he would go back to Australia, start a business, invest in real estate, get rich, and never have to worry again. Except it wasn’t smooth sailing from the get-go. He tried lots of different business models from building a website, to network marketing, to building sales pages, but he couldn’t get anything to work. Finally, in 2008, he came to the epiphany that he shouldn’t have to figure things out on his own if there were people out there who’d already done it, so he went to a seminar that changed his life. He applied what he learned about internet marketing to his boss’s business and quickly generated $100,000+ in sales. After a while, he gained the confidence that he could do things by himself, so he quit his job and did his very first webinar six months later. He made $594 with only 15 people on the call, and found webinars to be a really easy way to market and promote products. Ever since, he’s made tens of thousands of dollars from automated webinars, and even had a business partner do $120,000 in sales with just 13 people on the call. Now, he works on facilitating webinars for companies he owns 50% of by helping people who are experts sell their products and help their audiences without having to worry about online marketing, because he takes care of that for them. He’s got five companies that do anywhere from $5,000 to $50,000 in revenue per month. Steven says he works with passionate people who have a good to guru level of expertise and who like working with customers. Their only problem is they don’t have an online marketing background, so it can be hard for them to find clients so they can continue doing what they do best. Because a lot of passionate people love doing what they do and don’t want to learn internet marketing, they’re happy to give someone 50% who can do it for them. Last financial year, he’d helped so much that he did $2.2 million in sales. Steven says he totally disagrees with the theory some webinar pros have about never teaching too much so you can draw people into your product. In business, he says, you know you don’t make sales every single time on the first try. And if people don’t get true value from your webinar, they’ll never show up for another one. In the first 10 minutes, Steven says it’s important to start with a killer intro around the title of your webinar to get the point across as quickly as you can. Then, touch on all the different demographics of who could possibly be on your call, telling them that the information is for them. After that, build some credibility by showing what you’ve done for others. Present lots of proof to show why they should listen to you, including testimonials and case studies. Finally, show some stats to back up what you say. This is where the selling is done. Break up your content into 3-5 steps so you can show that you’ve got a solid structure. For each step, have proof to back up what you’re saying and tell a story. Here is where you tell them what to do and a little bit of how to do it, but not too much. The reason you don’t want to tell them every little detail of how is because you don’t want to turn your webinar into a command-giving lecture. Plus, it would probably be impossible to give all of the how-to in 40 minutes. It is really important to give actionable value here so your audience is engaged and taking notes on what you’re saying, rather than absent-mindedly surfing Facebook. This is the time to pitch your product or service, and you can either do a soft, medium or hard sell. Which way you choose to sell doesn’t really matter, because if there’s any one around at the end of 60 minutes, it will yield some kind of conversion because those people are definitely interested. Whenever Steven launches a new product or service, he always does a live launch. He says live webinars get the best conversion because they have a better energy to them and people feel like you’re there with them. But in order to scale and not spend all your time doing webinars, Steven suggests doing two live webinars on your launch day (letting people choose which one they attend), and pick the one that converted the best and use it for the replay. I told Steven I was having a hard time getting people to my hiring webinar based on Facebook advertising, but it turns out Facebook advertising may not be the most effective way to go. The easiest way to get targeted traffic, he says, is via trusted email. Either your own email list or the email list of someone who has a related target audience. In fact, he said that if you don’t convert at least 10% from any person’s email list, he says that the person who sent the mail doesn’t have a good relationship with the people on their email list. By using a Joint Venture partner with your webinar, you usually pay out 50% of your commissions, but with Facebook ads, you have to pay even if you don’t make any money. If you’re able to show the potential JV partner that you’ve got great value that their audience will love, and offer 50% of the commissions, they’ll be more likely to agree to help you promote your webinar. He says that just finding 3-5 people to promote your webinar for you can give you a huge boost. But you’ve got to remember to follow up… follow up is really important. For example, he said he has one JV partnership that could do $2 million of sales in just two weeks, but it took him three years of nurturing that relationship to land the partnership. Steven says that $297 is the first price point he tests… most people will spend up to $297 without any hesitation. After the first 100 customers, he bumps up the price to $497, which is the next bracket, and is the last of the group most people fall into… which is those that don’t have more than $500 in their bank account at any given time. If the conversions stay the same, he hikes the price all the way up to $997. He suggests hiking the price from $497 directly to $997 instead of something seemingly safer like $697, because once you’re out of the bracket of people who have $500 in the bank, you’re out. Because by the end of the webinar, people have already made up their minds that they’re in and are telling themselves a story to justify the purchase. He says it’s amazing how many people will pay a premium to have hand-holding done for them… especially those who don’t have the time or the desire to do yet another course. In fact, by not offering a high-end profit-maker, you’re missing out on a lot of people willing to pay you loads of money. All you need to do, he says, is put together a different webinar, spinning the content of your original one, place a different marketing hook on it, and offer the bigger program at the end instead of the smaller one. And usually, at the end of every podcast, as a sign of reciprocity, the host asks where their listeners can find out more online, which is when you can talk about your webinar and give the url for people to look up. Some listeners will check out your webinar, and a percentage will buy. After about 10-20 interviews, this really starts to add up and word spreads. In return, Steven says if you’ve interviewed someone on your podcast, you have every right to reach out to them and ask them to promote you. They’re far more likely to work with someone who’s interviewed them than some random person sending emails. I hope you are well. I’m a big fan of your work. My name is [blank] and I specialize in [this area]. There’s great content in there that your list will really appreciate. Would you be interested in arranging a joint venture webinar to your list? According to Steven, most people won’t respond even if you know them. Mostly because they’re so busy doing their own thing. That’s why follow-up is so important. A phone call is best, but email works too. Basically, have a back-up plan in case the music doesn’t work out. Steven recommends Cashflow Quadrant because it was the first book he read to understand the mindsets of different people who make money. It taught him a lot about hiring and about himself as someone who was moving from being an employee to being self-employed.